Dr. Ocampo is an expert physician specializing in anti-aging, hormone therapy, pathology and environmental medicine. He received his medical degree from Columbia State Medical School in Montreal, Canada. 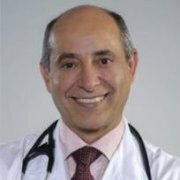 Dr. Ocampo’s comprehensive medical experience includes working as medical officer for the U.S. Public Health Service and C.D.C, National Institute for Occupational Health, medical director for the U.S. Public Health Service, and as a Principal Investigator for American Pharmaceutical Companies. Ask Emily: How Can I Save My Relationship?